Nick Hennies is a percussionist and composer from Louisville, KY currently residing in Austin, TX. 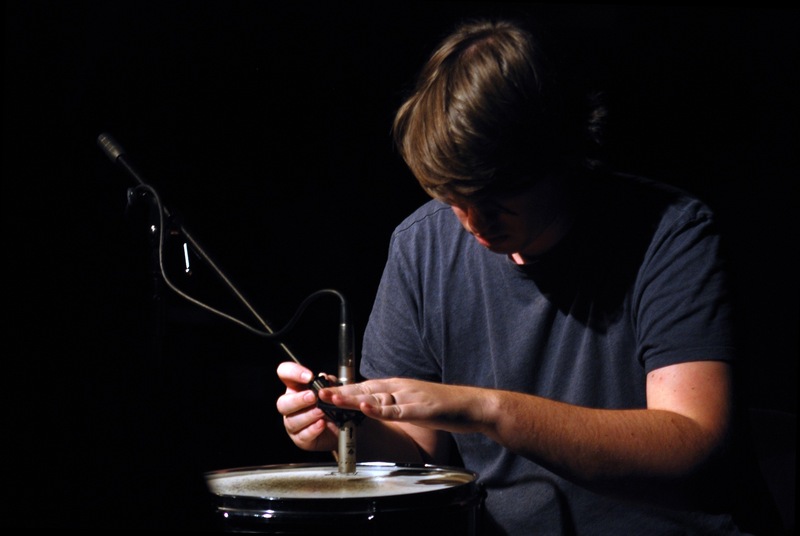 His work is primarily concerned with redefining and re-purposing the role of traditional percussion instruments through repetition, meditation, and immersion. He received his M.A. in percussion from the University of California-San Diego in 2003 where he studied with renowned percussionist Steven Schick and currently performs with The Weird Weeds, Waco Girls, and the Austin New Music Co-op. In addition to solo work Hennies has collaborated with Arnold Dreyblatt, Radu Malfatti, Jandek, Charles Curtis, Ellen Fullman, Michael Pisaro, and many other composers and improvisers from the United States and abroad. His work as both performer and composer can be heard on Quiet Design, Sentient Recognition Archive, Kendra Steiner Editions, Full Spectrum, Thor’s Rubber Hammer, and more. Notable appearances include the Indianapolis Museum of Art, the Blanton Museum, Festival Agora (Paris), and the LA Philharmonic’s Green Umbrella Series.